SKI CLASSICS. The 7thevent, Jizerska 50, in the Visma Ski Classics pro tour took place today in the Czech Republic. Many pro skiers did not start due to sickness, among them two favorites Petter Eliassen, Team Bn Bank, and Astrid Øyre Slind, Team Koteng. Nevertheless, the 52ndedition of the race was full of surprises as Lina Korsgren, Team Ramudden, was able to get her second victory in Visma Ski Classics after last year’s Vasaloppet and Andreas Nygaard, Team Radge Eiendom, returned to the fold after his illness. There was also some history in the making as Ari Luusua, Team Mäenpää, became the first Finnish skier to be on the podium in Visma Ski Classics. The women’s race started at 8:45 am, and after the first long climb three skiers were in a breakaway. Britta Johansson Norgren, Lager 157 Ski Team, Katerina Smutná, ED System Bauer Team, and the aforementioned Korsgren skied together until they reached the second long climb about 20 km before the finish. Smutná and Korsgren had better skis than Johansson Norgren, and they were able to gain a gap in the downhill section. In the latter part of the course, Korsgren sped up and left Smutná behind. Lina also got awarded with the Visma Skier of the Day due to her offensive skiing throughout the race. In the men’s race, the pace was high right from the beginning. Everyone knew that Morten Eide Pedersen, Team BN Bank, was going to attack before the second climb point at 32 km, and that was exactly what he tried to do. However, this year he was not able to break away, and seven skiers followed him to the top of the second hill. On the downhill section, a few other skiers, including Tord Asle Gjerdalen, Team Radge Eiendom, were able to catch the leading group. The race winner Nygaard looked fresh and confident throughout the race, and he positioned himself well just before the finish. There were 15 skiers approaching the stadium area when Nygaard took the lead followed by his teammate Gjerdalen and the Finnish skier Luusua. 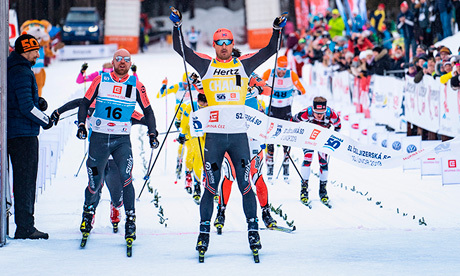 It seemed that Gjerdalen was going to win, but Nygaard was able to speed up in the final meters and he became the winner. Gjerdalen finished second and Luusua third. “It seems that every time I’m sick and bedridden I come back stronger,” Nygaard declared. “I felt really strong today, and we had good skis. It was a hard race from the beginning, and the weather kept changing making it quite challenging. We knew about Morten’s tactic, but this time we were able to keep up with him. After today’s race, Nygaard and Johansson Norgren have the yellow bibs, Anton Karlsson, Lager 157 Ski Team, still wears the green bib even if he was absent today, Johansson Norgren has the sprint bib in the women’s competition, Eide Pedersen and Johansson Norgren lead the climb competition and Sofie Elebro, Team Ragde Eiendom, is the leading lady in the youth category. Emil Persson, Lager 157 Ski Team, took the lead over Magnus Vesterheim, Team Kaffebryggeriet, in the men’s youth competition. 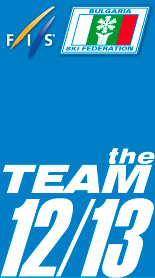 Lager 157 Ski Team is currently the number one pro team. The next event is the legendary Vasaloppet, 90 km, on Sunday, March 3. It will also be the start of the Visma Nordic Trophy tour. There are five events left in the season, and the finale will be held in Finland, Ylläs-Levi, on April 13.